ultra violet – Design Your Lifestyle. The Pantone 2019 Color of the Year is here, and Living Coral wastes no time making an impression. Living Coral (Pantone 16-1546) is warm, vibrant, and alive. This reddish-orange tone reminds us (of course) of ocean coral, but also of the brightest peach in a farmer’s market. Rich, crisp and forward, Living Coral is an energetic boost to the 2019 color palette – and we love that. 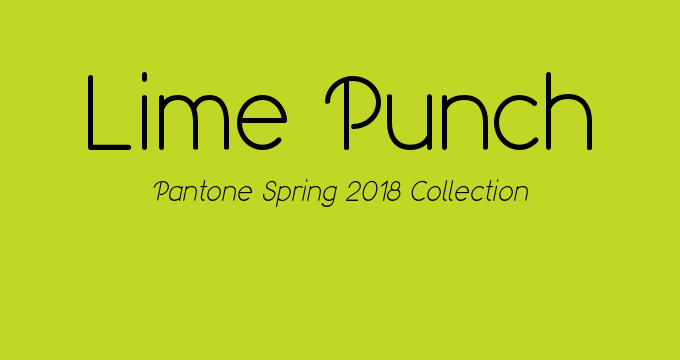 The trend back towards inviting, bright colors in the Pantone Color of the Year gallery began in 2017, with Greenery making a nod towards natural beauty and brightness. 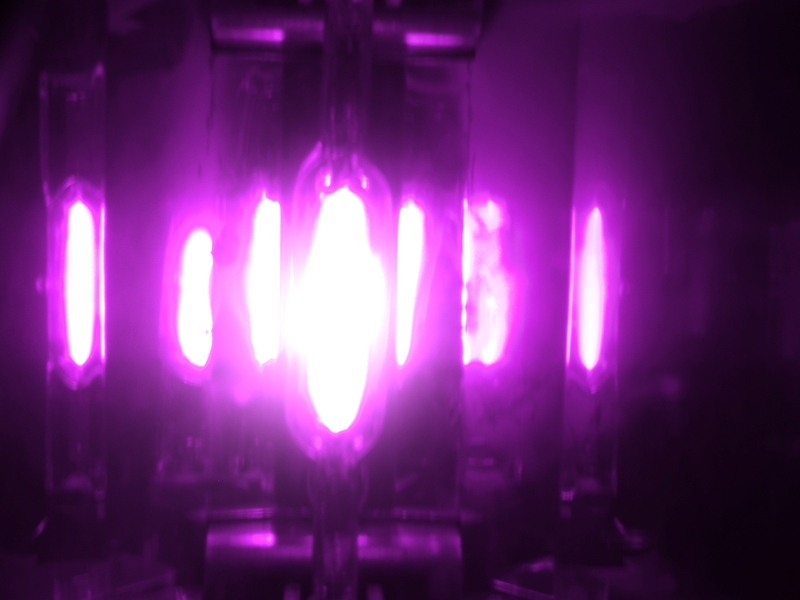 2018’s Ultra Violet sparkled with electricity and life. The nod towards Living Coral in 2019 suggests a marriage of the last two years’ schools of thought; a color that is at once of the natural world but surges with bright, unapologetic energy. Meet Living Coral, the Pantone 2019 Color of the Year. The response to Living Coral has been immediate and positive. Elle Decor describes Living Coral as “a warm, peachy orange with a life-affirming golden undertone; [t]he color evokes vitality and buoyancy…”. In an interview with the Associated Press, Pantone VP Laurie Pressman describes Living Coral as “a big hug”. And who doesn’t love a big hug? Our response? Appreciative, optimistic, but also intrigued. Living Coral is not a color for the shrinking, demure or traditional. In terms of home design and 2019 home design trends and ideas, how will Living Coral blend with the push for neutral and white-based kitchens and baths? Will designers blend Living Coral with white and off-white neutrals? Will we see a maximalist color trend towards Living Color blending with teals, rich blues and other ocean-inspired tones? Living Coral’s Pantone designation is Pantone 16-1546. Its Hex/HTML reference # is FF6F61, and it can be found using RGB code 255 11 97. 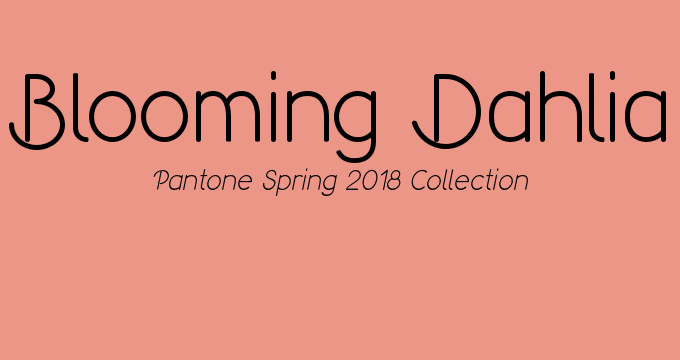 Information and codes for Living Coral, the Pantone 2019 Color of the Year. What’s your reaction to Living Coral, the Pantone 2019 Color of the Year? How will you interact with it? How will it play into your 2019 design plans, strategies and creative muses? Let us know and leave a comment below! 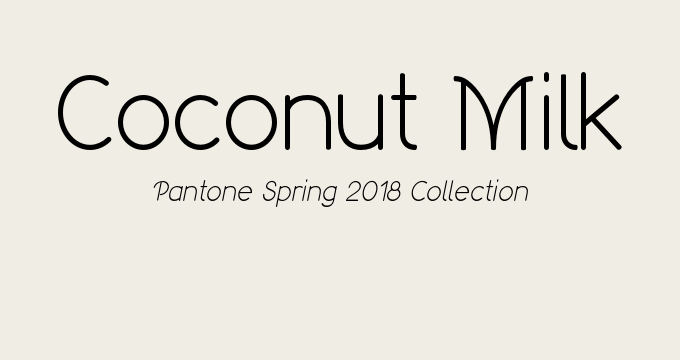 As a tip of the cap to 2018 Pantone Color of the Year Ultra Violet, we start our Fall/Winter 2018 color families with these intriguing cool tones. The reason for our intrigue? Cool colors aren’t supposed to be this ‘forward’ – and yet, here we are. Ultra Violet commands one’s attention immediately, while Crocus Petal has a warm pink undertone that makes your eye linger a bit longer. With all due deference to the purple tones, we are completely enamored with Nebulas Blue, one of the most dazzling blue tones Pantone has selected in the last 2-3 years. We expect to see Nebulas Blue everywhere – runways, home designs, graphic design, etc. When we see Valiant Poppy, Red Pear and Meerkat together, we can’t help but think of a glamorous Hollywood starlet with a stunning red dress and a stole wrapped around her shoulders. Meerkat is the perfect compliment to these two red tones, with its punch of warm brown for support. None of these tones will have an easy time taking a ‘back seat’ to others in your kitchen or bath design; we’re most intrigued to see what designers can do with Red Pear. You can’t be shy and utilize any of these colors in your design – Russet Orange, Limelight and Ceylon Yellow are for the bright, the brassy and the bold. While the mustard-tinged Ceylon Yellow may prove to have the most utility in kitchen and bath design, the proper splashes of either of its counterparts in this color family can be used to achieve dramatic, eye-catching results. Be careful not to overuse any of these tones, however! If you want your design to radiate confidence, sophistication and luxury, these three Pantone colors should be in strong consideration for inclusion. Quetzal Green is a gorgeous blue-green that appears to be the offspring of emerald and sapphire. Martini Olive evokes images of upscale bars and dens, and is a rare green shade that could even be seen by some as a neutral. 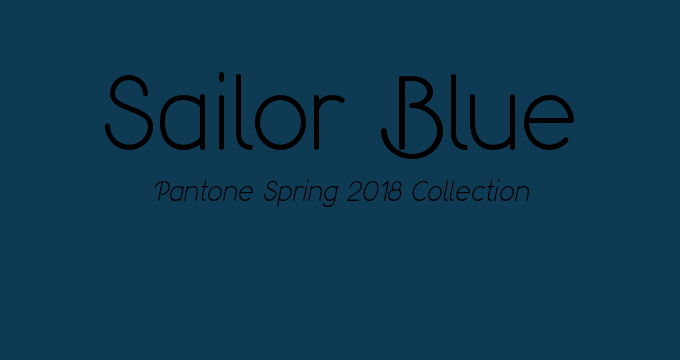 Sargasso Sea, meanwhile, is the most intriguing of all the Fall/Winter 2018 Classic Colors, providing a steady navy blue backbone to the season. 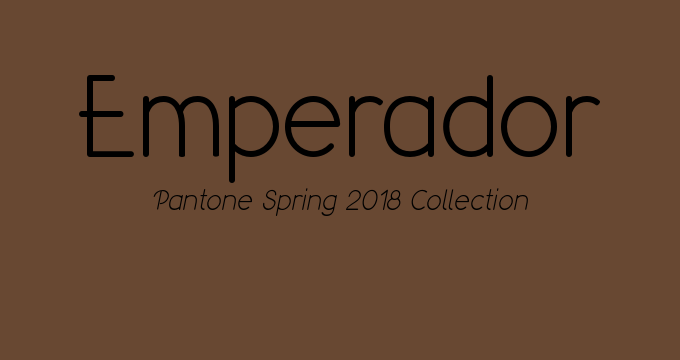 Pantone’s Fall/Winter 2018 color palette provides some of the most satisfying, pairable neutral tones in recent memory. Quiet Gray, Almond Buff and Tofu aren’t just neutrals that sit in the background; any one of them could easily be the lead primary color in your design. Tofu, in particular, may be our favorite ‘off-white’ neutral Pantone selection in years. With just enough warmth underneath a steady white base, Tofu is quietly one of the real winners of the Fall/Winter 2018 collection, and should be a strong contender for any neutral-tone kitchen design or bath design. February 2018 Peter Salerno, Inc. 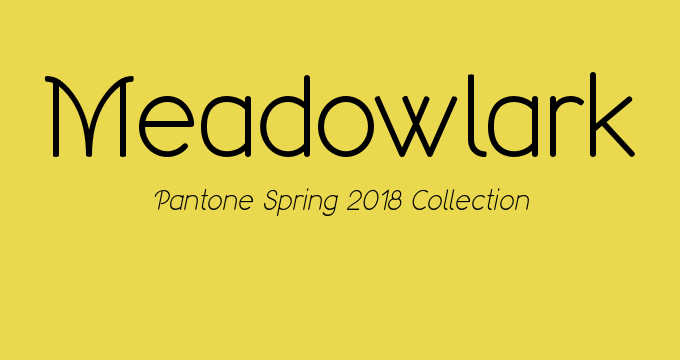 The Spring 2018 Pantone color palette proves that cool can be powerful. 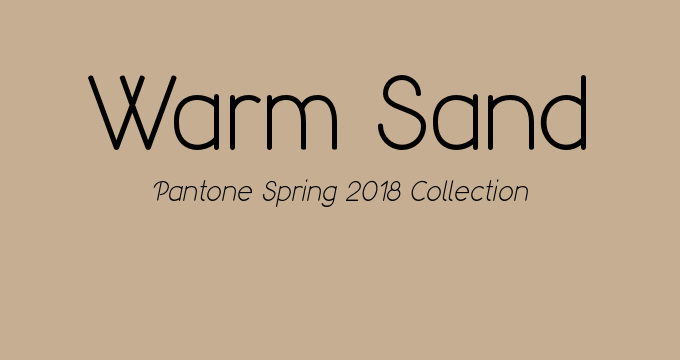 Three of the most captivating, dominating shades in the 12-tone Pantone seasonal collection are from the “cooler” end of the color spectrum, showing the design world that greens, blues and purples can take center stage in any design. 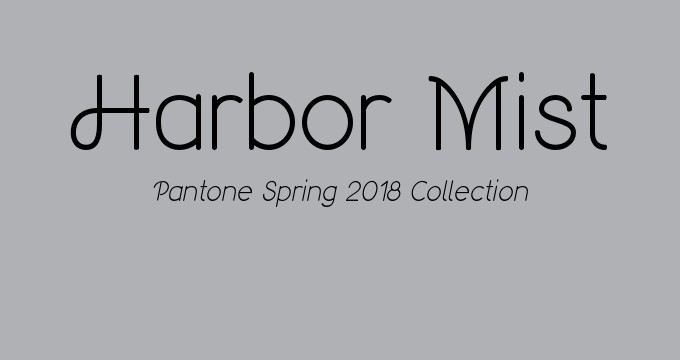 In two previous articles, Design Your Lifestyle has broken the 12-color Pantone Spring 2018 collection into sets of three – the Versatile Complementary Colors and the Bright Tones. 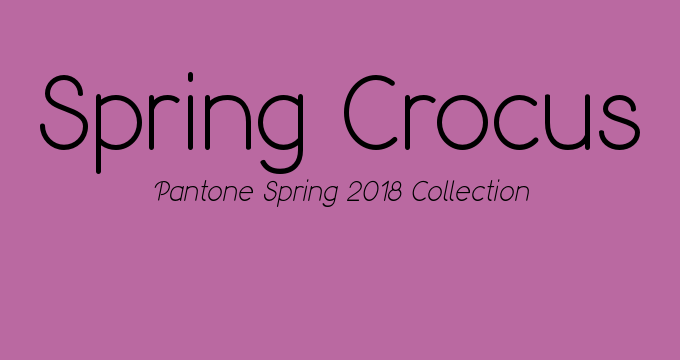 Our third of four pieces regarding the collection focuses on the Cool But Powerful Colors – three shades that help change the perception of greens, blues and purples in Spring 2018 design. This trio is led by the 2018 Pantone Color of the Year, Ultra Violet (PANTONE 18-3838). An unflinching, powerful purple, Ultra Violet is equals parts mystical and dominant. By its side stand the blue-green of Arcadia and the light but attention-grabbing Little Boy Blue. 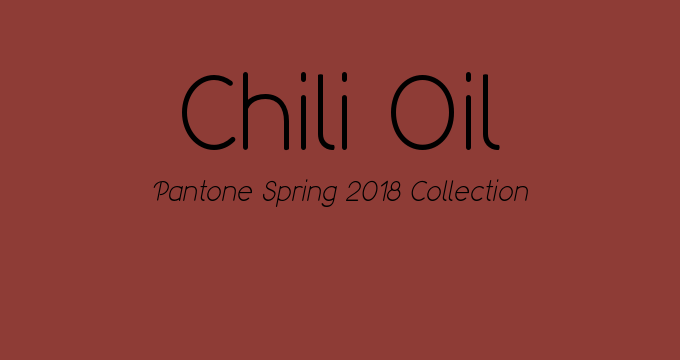 Together, these 3 colors form our Cool But Powerful collection of the Pantone Spring 2018 Color Palette. So let’s take a closer look at these 3 strong-yet-cool colors, and how they influence color and design trends in the Spring 2018 season. The Pantone 2018 Color of the Year would make Prince and Jimi Hendrix proud. Ultra Violet is a “dramatically provocative and thoughtful” color, according to Pantone. Unafraid to make a statement, Ultra Violet is confident and complex. Although both colors are generally bright and cheerful, Ultra Violet is a departure from Greenery, the Pantone 2017 Color of the Year. While Greenery was rooted in nature, earthy tones and complementary neutrals, Ultra Violet is a bit more – well, intergalactic. 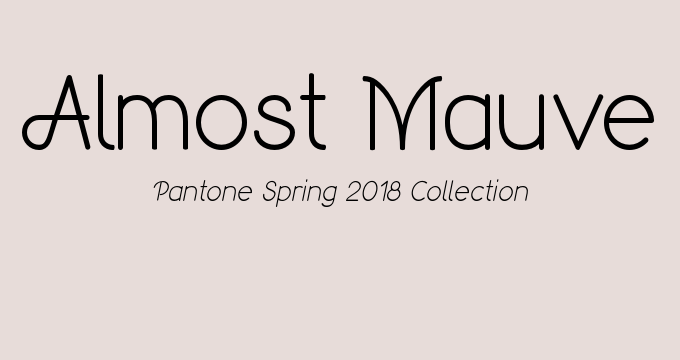 Even Pantone admits there is a “mystical or spiritual quality” to their 2018 Color of the Year. Arcadia is a little more “retro” of a color, according to Pantone itself. Still, this deep blue-green is strong enough to leap into the present and demand our attention. 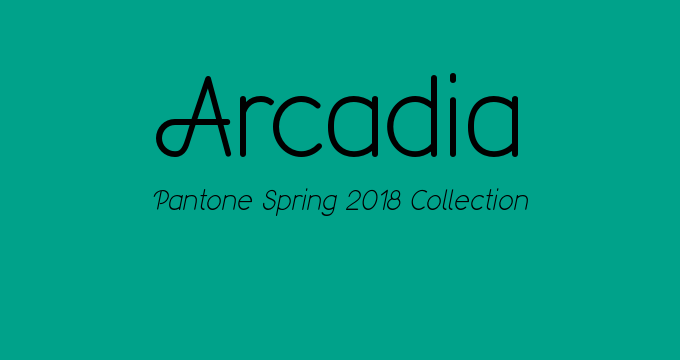 Somewhat adjacent to an emerald jewel tone, Arcadia stays rooted in the trend of natural green and blue shades that began in Pantone’s 2017 collections. Baby blue isn’t just for kids anymore. 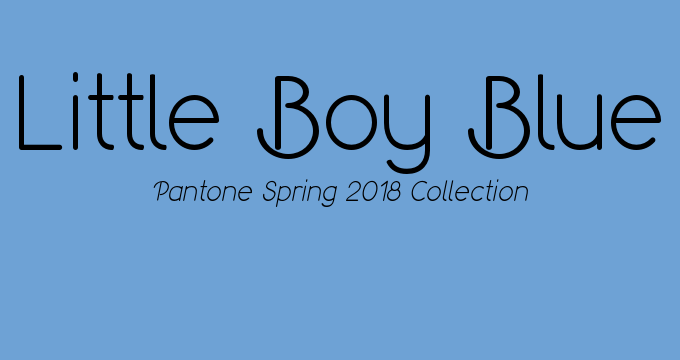 Despite its name, Little Boy Blue packs more of a punch than other light blues, and it’s far less pastel than fellow Spring 2018 color selections Blooming Dahlia and Pink Lavender. Instead, Little Boy Blue is more reminiscent of a Carolina Blue. 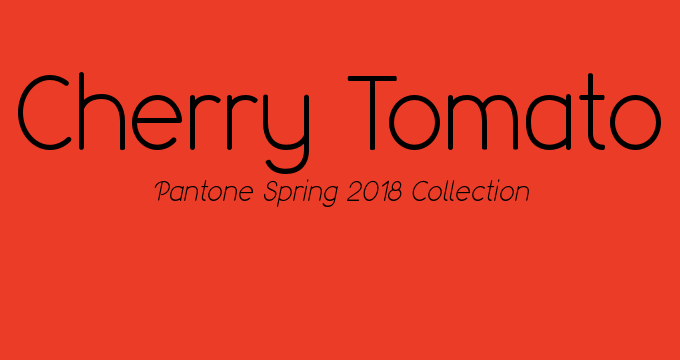 If you had any questions as to whether or not 2018 was going to be a bold, vibrant year in design – well, Pantone just answered them. 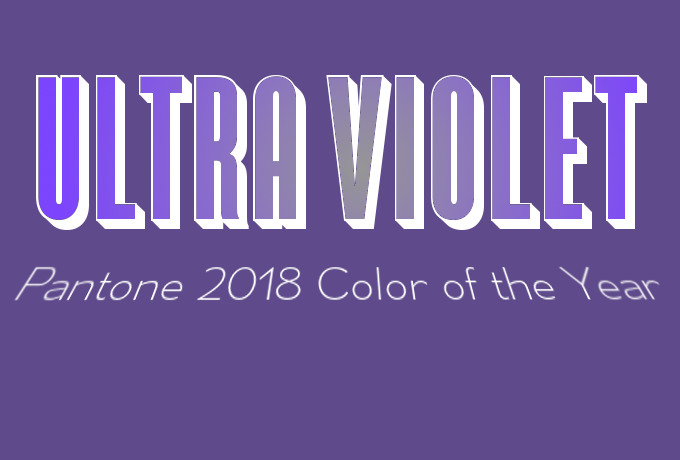 Ultra Violet (Pantone 18-3838) is the Pantone 2018 Color of the Year. A confident, striking, and complex purple, Ultra Violet is touted by the color experts at Pantone as “dramatically provocative and thoughtful”. 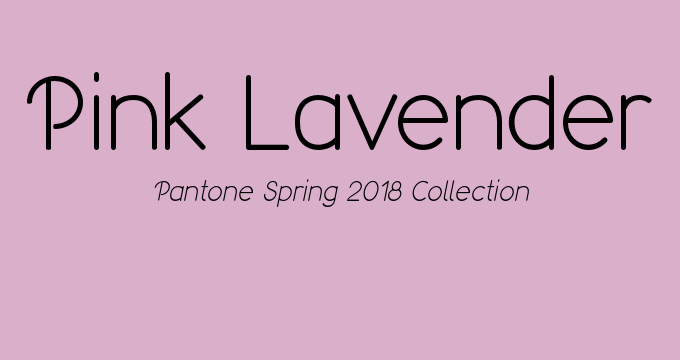 In their introduction of Ultra Violet as 2018 Color of the Year, Pantone refers to “enigmatic purples” as evocative of artistic and social brilliance, before invoking the names of such luminaries as Prince and Jimi Hendrix. Now that we have our Color of the Year, the question for home, interior, kitchen and bath designers is simple. Where do we go from here? Ultra Violet is a bold choice by Pantone, and admittedly seems far better suited to fashion design that interior or industrial design – at least on first glance. Decor designers have already utilized Ultra Violet on accessories and furniture, ranging from lounges to lamps, carpets to chairs. What brilliant, bold designs ideas will Ultra Violet inspire you to explore in 2018? But will we see home designers bold enough to utilize Ultra Violet as a primary or statement shade for full room design? Is 2018 the year where purple dominates accent walls, wainscoting, and total area paint rather than throws, accessories and pillows? Early returns are in, and reviews are generally positive for Pantone’s choice of Ultra Violet as 2018 Color of the Year. The Guardian appears captivated by Ultra Violet, providing a vivid display of photos utilizing the shade of purple. Meanwhile, the New York Times is a bit more cautious in its appraisal, calling the color more “wishful thinking” than a reflection of what’s actually happening in society. But that’s part of the charm of Ultra Violet – sometimes, the color we put into our world is simply a reflection of what we want it to be. And by injecting a mystical, vivid, daydreamer’s shade of purple into 2018, perhaps Pantone is giving us all a way to design our lives into a positive state. 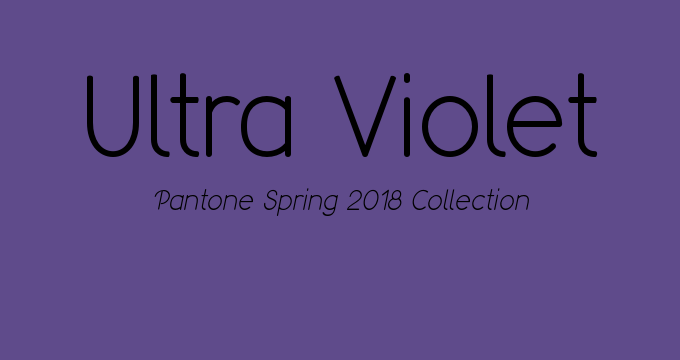 What’s YOUR take on Ultra Violet, Pantone’s 2018 Color of the Year? Your opinion matters to us. Leave a comment, and don’t forget to subscribe to Design Your Lifestyle!